Wheat & Weeds: Merry 3rd Day of Christmas! Merry 3rd Day of Christmas! 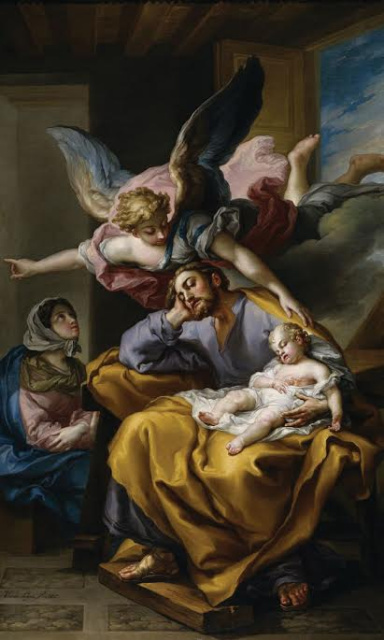 Michael Pakaluk has a nice reflection this morning on what we can learn from St. Joseph at Christmas: Here Comes That Dreamer. To Joseph is given the important legal role, of naming the child: “She will bear a son, but you will give him his name.” As fathers do generally, he navigated the family through the demands of legal relationships and authorities. No doubt it was Joseph who insisted that pregnant Mary accompany him to Bethlehem, to follow the Emperor’s decree. Yet this list of his distinctive traits is incomplete. To see why, consider this test. Suppose you asked 100 Catholics whether they thought it essential to be open to messages from God in dreams, how many would say, “of course”? And yet this was essential, for Jesus to live beyond infancy.